DAVID TENNANT IS RETURNING AS THE TENTH DOCTOR - Update With Audio Preview | Warped Factor - Words in the Key of Geek. ...And he's bringing Donna Noble along for a new series of Big Finish adventures. Big Finish have finally announced the news. It's official, David Tennant is returning as the Tenth Doctor alongside Catherine Tate as his companion Donna Noble in three Doctor Who Audio Dramas! In Doctor Who – The Tenth Doctor Adventures: Time Reaver by Jenny T Colgan the Doctor and Donna arrive on Calibris - ‘An entirely mechanical planet. Catch, hitch, fuel, fix, buy, pretty much any kind of transportation in existence.’ It’s also a world full of scoundrels, where a deadly black market has opened up in a device known only as the Time Reaver. 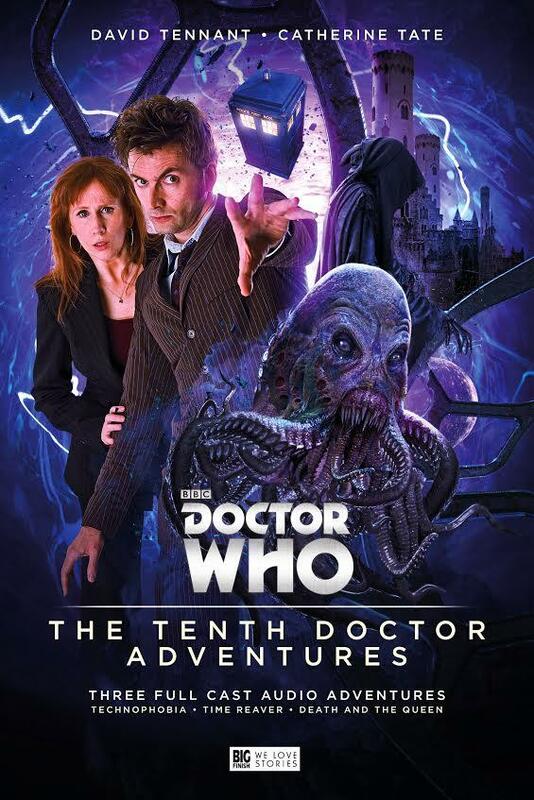 Doctor Who – The Tenth Doctor Adventures will be released in May 2016 - exclusively on the Big Finish website. Each of the three titles are available to pre-order separately today for just £10.99 on CD or £8.99 to download. A bundle of all three titles is also available for £25 on CD and £22 to download! All three stories are also available in the Doctor Who: The Tenth Doctor Adventures Volume 1 – Limited Edition set. Limited to just 5,000 copies and available exclusively from bigfinish.com, and the lavish book-sized box set includes exclusive artwork, photography, articles and a one-hour documentary featuring interviews with the stars and production team. You can pre-order the set today at the special price of £30 on CD or £25 to download – offering a £5 discount against the standard price!! Here at WarpedFactor we are HUGE fans of Big Finish and their continued marvelous output. Since July 1999 their monthly range, and additional releases, have provided countless brilliant audio adventures featuring Classic Doctors, companions and characters. They've given us stories we could only dream of seeing on screen, and allowed certain poorly treated Doctors to show their full potential. Earlier this year it was announced that the company had finally secured the rights to produce audio adventures featuring New Series characters, including Kate Lethbridge-Stewart, River Song, Strax, Weeping Angels, Torchwood, etc - but we didn't see this one coming. 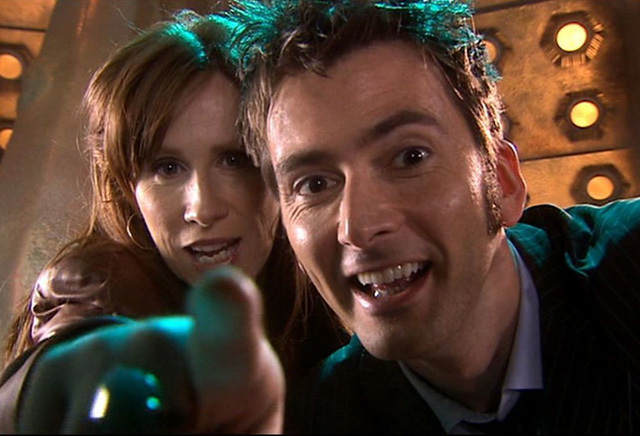 BlogtorWho has reported that David Tennant and Catherine Tate will reunite as the Tenth Doctor and Donna Noble for Big Finish. "The pair have signed up to recreate their roles for audio in a series due for release in 2016. Blogtor understands the scripts are ready to go and will be recorded when David and Catherine's schedules permit." Big Finish declined to comment, I'm predicting it's because they're busy looking for a new warehouse to cope with demand for these titles! Hopefully having the Tenth Doctor on board will draw in a new audience who have yet to give the official audio adventures a try. And, as seems to be the experience with many listeners (myself included), after just one Big Finish story you find yourself hooked. Well played Big Finish, well played. Is this a great time to be a Doctor Who fan or what?